Dr. Theresa Hartley is passionate about providing family wellness through chiropractic care, proper nutrition and exercise. As a center for treatment and education, the Hartley Chiropractic Center promotes teaching individuals and families about healthy lifestyle strategies. The core components that raise this awareness are achieved through education, acknowledging the function of the nervous system as it relates to the body’s natural healing capacity, as well as the benefits of exercise and nutrition. 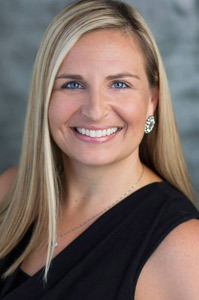 With her Doctorate of Chiropractic earned from the esteemed Palmer College of Chiropractic, and as a candidate for the recipient of a Diplomate in Chiropractic Pediatrics from the International Chiropractic Pediatric Association (ICPA), Dr. Hartley cares for family members from infants to seniors. The treatments are age-specific and address the cause of the symptoms, not just the symptoms alone. Upon opening in Feather Sound in 2010, she named the practice Hartley Chiropractic Center to commemorate the years of chiropractic care her father, Dr. Theodore G. Hartley, gave to his patients in the St. Petersburg area. Dr. Hartley is married with one son and one daughter. She enjoys traveling and quality time with her family and friends. As an adjunct faculty member at Palmer College of Chiropractic, Dr. Hartley enjoys sharing her knowledge and expertise with aspiring students. Dr. Hartley is known for treating patients through structural correction chiropractic care in addition to education, nutrition and exercise. Sensitive to the unique needs of individuals in all stages of life, Dr. Hartley is certified in the Webster Technique through the International Chiropractic Pediatric Association. A treatment sought by expectant mothers, it helps to keep the pelvis properly balanced throughout the term of the pregnancy. The technique ultimately trains the body to maximize its natural ability. When the neuro-biomechanical function in the pelvis is improved, proper pelvic balance is restored and optimal fetal positioning is facilitated. With a practice dedicated to education, Dr. Hartley hosts workshops and seminars relevant to health, healing, nutrition, and exercise. Hartley Chiropractic Center is devoted to making this important contribution to the community with topics ranging from cancer prevention to spinal correction to weight loss. All events are free and open to the public. The intention is not to just relieve pain, but to restore health. Dr. Hartley sees patients in the office at 2653 Ulmerton Road in Clearwater, Florida and speaks publicly to groups, churches, corporations, and through radio and television about the message of true health and healing. Contact the office today for more information about care for you and your family.